Wire mesh is a fantastic material for DIY projects of all types. From animal enclosures to art projects to interior design elements, the options are limited only by your imagination. If you don’t have a great deal of experience working with welded or woven wire mesh, there are a few things you should know before beginning a project. Here are the Meshstore Do’s and Don’ts of wire mesh – a how-to guide for the home handyman. Do: Get the most out of your project by doing a bit of planning and research in the early stages. This will help you to identify the best material for the project. Galvanised steel, stainless steel and brass for example all have different properties. You’ll want to make sure that what you are using is appropriate for the project, for example mesh mounted to a wall inside your house won’t need to be as rugged as that used for a pet enclosure that’s exposed to the elements. 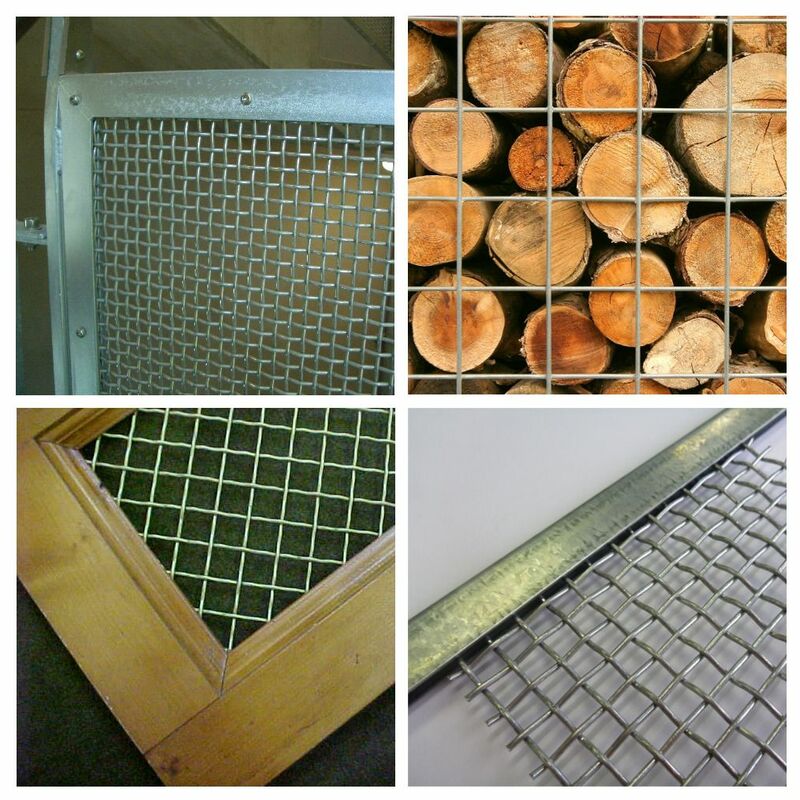 Meshstore stocks wire mesh in a wide range of gauges, materials and styles. Understanding not just the type of mesh you want, but also the size you’ll get it in is key to your projects success. Some mesh is sold in flat sheets and some are cut to length from a roll. If the mesh comes from a roll then the width will be fixed but the length will be cut to the number of metres that you specify. Make sure you understand the dimensions of the mesh you need and compare that carefully with the product you’re buying. Design your project, and pick your mesh, to create panels that are no bigger than the sheet dimensions, eliminating unsupported joints where possible. Don’t: Just wing it. Doing things on the fly might be your style, but without careful planning you’re likely to waste your own time and possibly materials as well. Making sure the size and shape of your mesh will fit the application is key to a successful project. Do: Pay close attention to the gauge of your woven or welded wire and pick the right tool for the job. If it’s thin enough you’ll be able to cut it into shape or trim it down quite easily using tin snips. Bolt cutters or pneumatic shears can also be used for cutting if you have them available. For heavier gauges the best tool for cutting wire mesh is the trusty angle-grinder. All these methods have the potential to leave sharp edges, so make sure you’ve thought about safety before you start cutting and taken precautions. Find a safe place to work (for you and others) and wear the right protective gear and clothing. In all cases, gloves and goggles are a must. Don’t: Be careless. It bears repeating: Cutting wire can leave ragged edges, and even if you are using gloves and goggles there’s still potential to do some damage when moving it around. Furthermore, if you’re purchasing your wire in a roll rather than a sheet, be mindful that if you haven’t flattened out the rolled wire properly before cutting, there’s a chance it may spring back at you after the final cut. Do: Remember that there are numerous ways to fix your mesh in place and the ‘best’ one for you will depend on the type of project, gauge of mesh and material that it will be fixed to. Your preferences, skills and what tools you have at hand are also likely to influence your decision! As with any project, picking the right fasteners for the material you’re fixing to is important. For wood you’re generally best to use appropriate timber screws, but nails or staple nails may also be an option. The smallest gauges of wire can even be fixed using an industrial staple gun if the application won’t put stress on the mesh. For metal, self-drilling (tek) screws or pop rivets will work well. If you have access to a welder you can also weld heavier gauge mesh in place. For brick or cement you’ll need suitable anchors or plugs. Also consider corrosion resistance and the appearance of whatever fasteners you choose if these things are important. 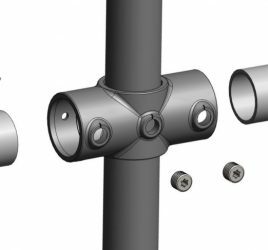 Matching the fastener material to the mesh is a good rule of thumb (e.g. galvanised or stainless steel). Mesh can also be laced or ‘lashed’ in place to posts or framing using wire. Cable ties could even be used but these are best reserved for temporary jobs or where fast assembly is your top priority. The direct fix method is simple and inexpensive. The mesh is face-fixed to a flat surface by just driving suitable fasteners through the mesh openings into the support material. Ensure that the head of the fasteners (screws, nails rivets etc.) are bigger than one square of the mesh you are using, or that you add a washer under the head to get the same result. The sandwich method is more secure, gives a neater appearance and can conceal the edges of the mesh. The mesh is clamped in place to the main support by placing a secondary frame on top of the mesh and screwing through at regular intervals. A simpler variation to this method is to simply use straight strips of timber or metal (i.e. flat bar) rather than a complete secondary frame. The channel method fully encloses the edges of the wire panel by constructing a frame that has an internal slot to hold the mesh. This method is most commonly used in metal frames that have been fabricated using c-section channel, mitered on the corners and welded. If you have the skills, a similar effect could be achieved with a timber frame using a rebate or groove. Don’t: Forget that wire mesh weighs something, and that gravity will be doing its job. Make sure your mesh is fixed in enough places to be able to hold the weight. Too few fixtures and your mesh could droop, bend or tear. This comes back to careful planning at the beginning, but don’t overlook this vital step. Do: Keep in mind the most time-consuming part of painting wire mesh is the preparation. Ensure the surfaces are clean and rust-free before priming. To cover all your bases, it’s best to use a corrosion resistant primer which will keep the metal sealed off from the elements. From there, it’s just a matter or spraying or brushing the paint on. It’s best to use an acrylic latex paint as this is well suited to painting metal and it’ll outlast other paint types. As an alternative to ‘wet’ painting and for a really high quality finish you could also consider powdercoating. Don’t: Paint over rust or dirt. This is a surefire way to shorten the lifespan of the paint job and it will undoubtedly start to show before long. In order to get the best finished product, sand off any rust that’s present and give the mesh a thorough clean: oil and dirt can build up near the wire intersections. It’s recommended you do this immediately before applying primer, as the longer it’s exposed to the elements the more likely you’ll have to repeat this process. 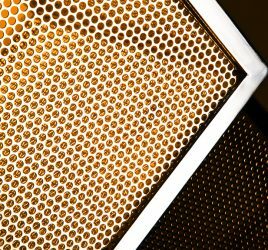 Wire mesh is an extremely versatile material that can be useful for many small (and not so small!) jobs at home and work. It is easy to work with if you’ve got some basic tools and DIY skills and can give you good looking and hardwearing result. To get the best result, remember to take care, plan in advance, use appropriate safety gear and do no attempt any project that you do not have the tools or skills to take on. Meshstore Western Australia stocks wire mesh in a huge number of configurations and we can supply you with the right material for whatever project you have in mind.